If you would like help or ideas on reaching your club's membership goals, consider one of Rotary International's many membership resources. Newly revised! Membership Development Resource Guide This all the tools needed to help clubs develop a membership development action plan for recruiting and retaining members. Strengthening Your Membership - Creating your Membership Development Plan Includes information for the club membership committee, which performs a crucial function, developing and implementing an action plan for recruiting, retaining, and educating club members. New Membership Video Set A new resource set featuring two DVDs, one for new members and one for prospective member. The Membership Minute a monthly subscription-based e-mail newsletter that provides membership development ideas, resources, and tools. Newly updated! New Member Information Kit that provides new members with essential information on Rotary International and The Rotary Foundation. 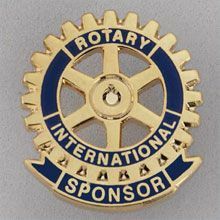 Prospective Member Information These valuable on-line Rotary Club brochure design tools can be used to produce Rotary Brochures specially designed for your club and its projects. These club resources and promotional materials can be distributed to club visitors, providing basic information on your club, Rotary, The Rotary Foundation, and the responsibilities of club membership. The promotional design tools are available at Rotary Materials Brand Center. Simple edit one or more of the available promotional options with your club information and download a high resolution print quality PDF that you can take to your local printer to produce.